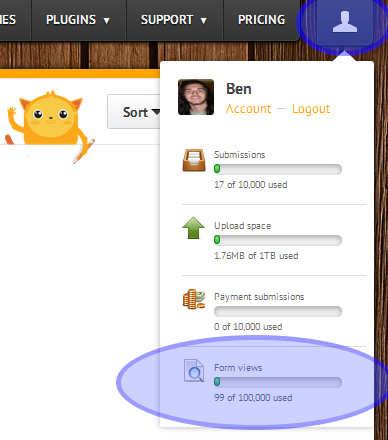 Is the form view metric a new feature and how can we track it? I received a notice today regarding my form views. I have never received this before and am curious how I can find out more information about this. I would like to know when my cycle period starts and ends as well as see how or where this is measured. Also, is this a newer metric that has been added to the free accounts. As mentioned, this is the first time I have seen this. Thanks in advance. 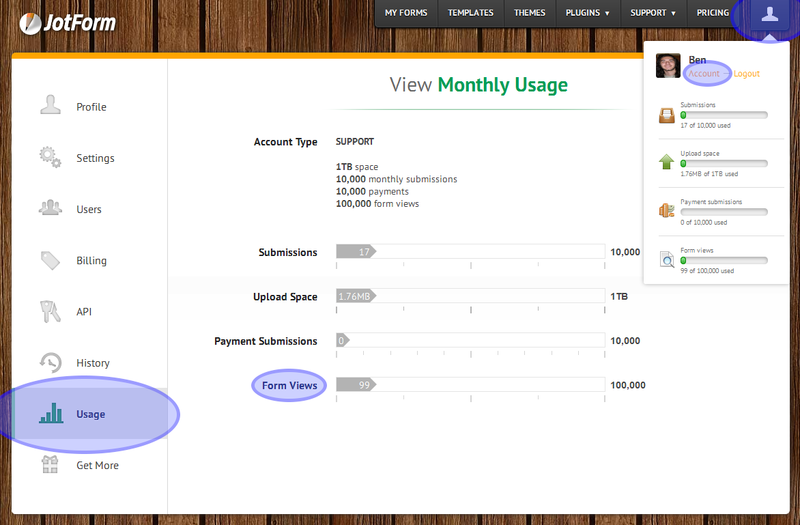 In short, starting with March all accounts are limited to the form views next to the previous limitations. This has been decided upon to keep the server costs lower and resources spread appropriately per people on different plans. The submissions limits are still on 100 for secure and regular submissions (10 for paid), and the form views are 1000 (1k) of views for the free plan. The easiest way to remember it is that there are 10 views per submission - so 100 submissions * 10 is equal to 1000 form views and the same approach applies to other plans. as well as under the Account -> Usage.